Danske bank/Danish bank and Sparinvest, an international asset management group based in Luxembourg and owned by a broad range of Danish institutional shareholders, have dropped investments in the companies behind the disputed Dakota Access pipeline. Donald Trump had revived the pipeline which the Indians and the environmental organizations had been trying to stop. Because of this, the Danish Bank and Sparinvest have decided to divest their investments in the companies behind the planned pipeline at the Indian reservation, Standing Rock, in North Dakota, U.S.A. "We don't approve the recent treatment of the Indigenous people and their forced removal, therefore we have divested from the pipeline" said bank and investment officials. The American police, on orders from President Donald Trump had cleared the protest camp where the Indians, environmentalists, veterans of the U.S. Army and other activists had stayed for several months in an attempt to stop the Dakota Access pipeline. Behind the pipeline are the companies Energy Transfer Partners, Sunoco Logistics and Philips 66. 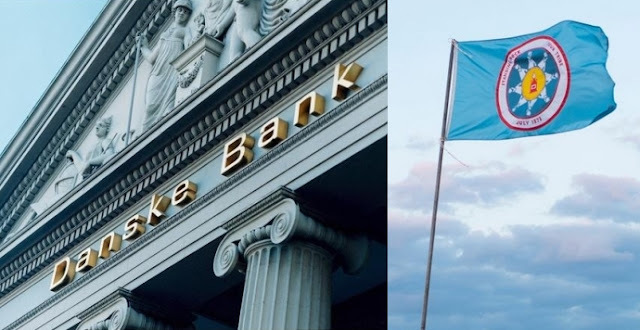 The Danish Bank sold it's investments to the latter company, according to the Danish bank's Head of Responsible Investments, Thomas Kjærgaard. "We have had a smaller investment of 27 million Danish krona in the company. We are not comfortable with the company's overall risk profile and therefore we have sold it", he said. Also the investment manager for Sparinvest had until recently investments in Phillips 66. Communications spokesperson, Bent Sørensen, told the newspaper that they have been in a dialogue with the company about the Indian's rights, among other things, in an attempt to influence the project. According to the Sioux Indians in the area the pipeline would be passing through an area that is religiously and culturally worthy of preservation. The Indian Tribe is primarily concerned that the pipeline will go under Oahe River from which the reservation gets their drinking water from. More than 90 percent of the oil pipeline is laid, but the last stretch to the border of the reserve had been halted. In the end, the decision to proceed with the pipeline was maintained. Under the current momentum created by President Trump it seems the completion of the pipeline is imminent. On the map it says: Barack Obama halted two contentious oil pipelines (Keystone and DAPL) but they were revived by Donald Trump, shortly after he came to power. It's the Dakota Access pipeline that the Indians are protesting against. Responses to "The Danish Bank & Sparinvest have just divested from the companies behind DAPL"